Michel was born of Brazilian parents in Florida in 1986. 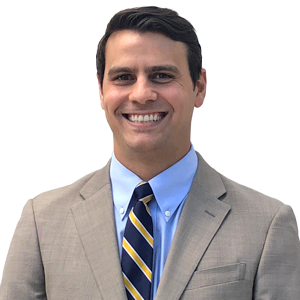 He graduated from Rollins College in 2008 with a BA in Philosophy and gained his JD, with a Certificate in Business Law, from Florida Coastal School of Law in 2013. In the final year of the JD degree he studied the Brazilian constitution and laws in a program conducted in Rio de Janeiro through Tulane University School of Law. Michel was admitted to the Florida Bar in 2014 and joined the in-house legal department of Deutsche Bank in Jacksonville, Florida, where he served the Asset and Wealth Management business line. His responsibilities there included reviewing and reporting on all third-party litigation involving retail investment clients of the bank; negotiating and drafting trading agreements for the bank, with counterparties ranging from hedge funds to other large financial institutions; and legal research and drafting memoranda to ensure continuing compliance by the bank with changes in State and federal laws. In the latter part of his time with Deutsche Bank, Michel decided to focus his career on real estate law. To that end he continued his legal education at the University of Miami School of Law where he was awarded the degree of Master in Law in Real Property Development in 2018. During his final year of that degree he interned with a prominent Miami law firm (gaining experience in complex real estate development agreements and title issues) and the Office of the City Attorney, at the City of Miami (where he prepared legal memoranda for City attorneys, commissioners and others and assisted in the drafting and amendment of legislation). Michel joined AMK in August 2018 where his prime focus is on legal issues attendant on real estate investment and other private client wealth management matters. Michel is fluent and literate in English and Portuguese and proficient in Spanish.